Thinking about installing a Home Theater? Dynatek knows how to make your dream a reality. All types of people now enjoy Dynatek’s Home Theater Systems, from retired couples and young families with children to busy executives and rabid sports fans. The value of a home theater appeals to a variety of personalities and tastes. 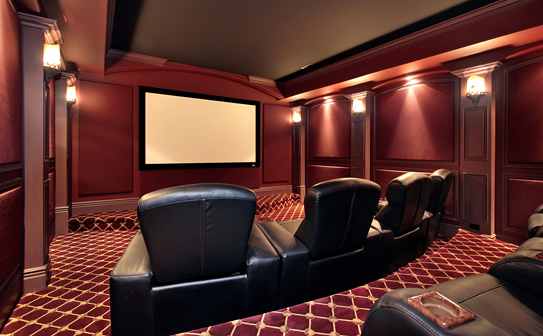 Dynatek can help you put together your dream, whether you’re installing a small system in a basement recreational room or building your dream come true in a dedicated theater room. Dynatek can provide you with the Do’s and Dont’s and help you with the design and get you all the right gear to make it magical.